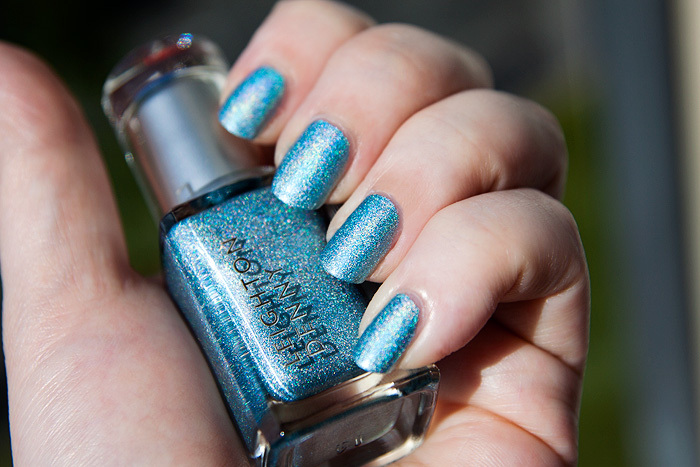 The new shades deliver a medium holographic effect from what is most interestingly, a matte nail. Ignoring the press release (which describes these as high-gloss) the trio actually imparts a matte/suede finish that can be topped off with a top-coat should you require more shine. The matte effect doesn’t do anything to downplay the light reflection and indeed, gives a really interesting twist on a tried and tested formula. Talking of the formula, it’s an odd one although consistent across the three shades. Laying down the first coat, the polish grabs to the surface of the nail almost too vigorously and has a tendency to leave bald patches. I quickly surmised that the best way forward was a very thin bottom layer followed by a thicker second coat which helped smooth out any imperfections. The polish dries remarkably quickly and is touch dry within a couple of minutes. Those of you who are familiar with matte nail formulas will understand the difficulties that can sometimes be had with these formulas, especially if your nails suffer with excessive ridging or chipping. I would definitely consider pairing these with a ridge-filling base coat next time. Either way by the third coat, you’re fully opaque and ready to go! The Leighton Denny Holographic Collection will be coming online exclusively at The Urban Retreat Beautique in the next week or so priced at £13.25 each. 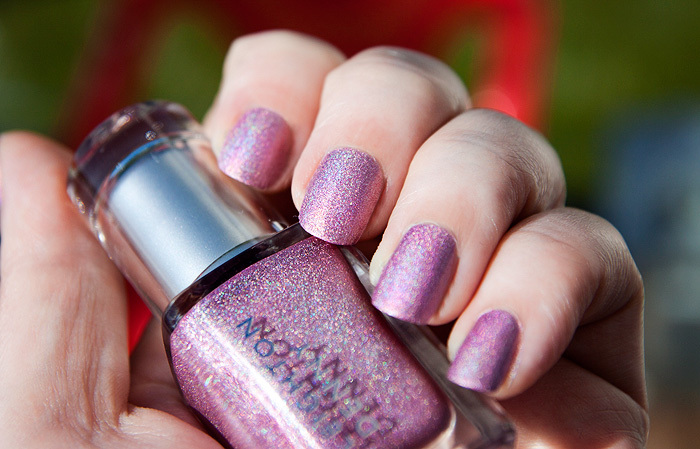 ETA: As of 12/06/13 – these polishes are now available via the above link. Oh my goodness, these are GORGEOUS. I’m not sure I could justify the price right now (naturally I’d need all three colours!) but onto my wishlist they go – I love them! Love L Den (as a person he makes me smile when I watch his demos and of course he’s from the North as well) and his products always deliver. His Sunbelievable is amazing and I must have tried every fake tan going.